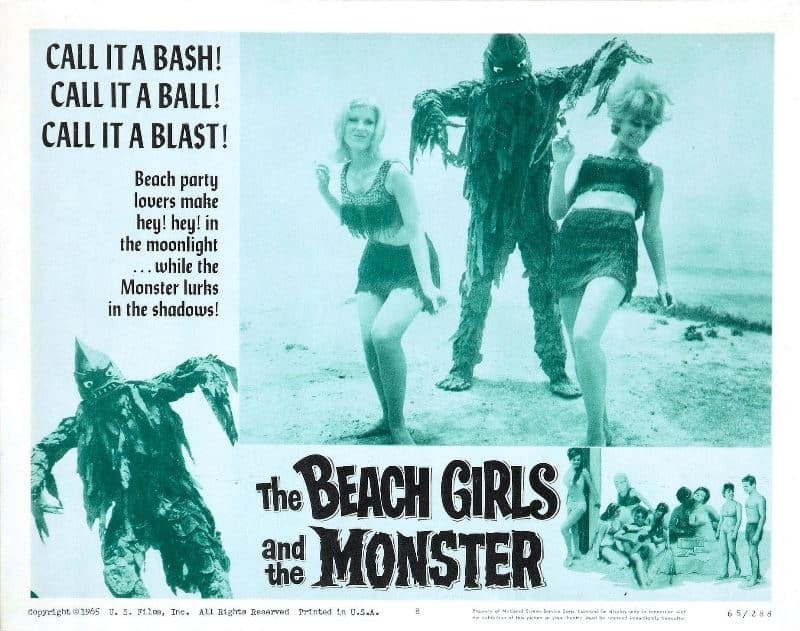 Teenage horror flicks and beach party musicals were all the rage in the 1960s, and when schlock filmmakers combined the two genres the results were always as bad as they were enjoyable. 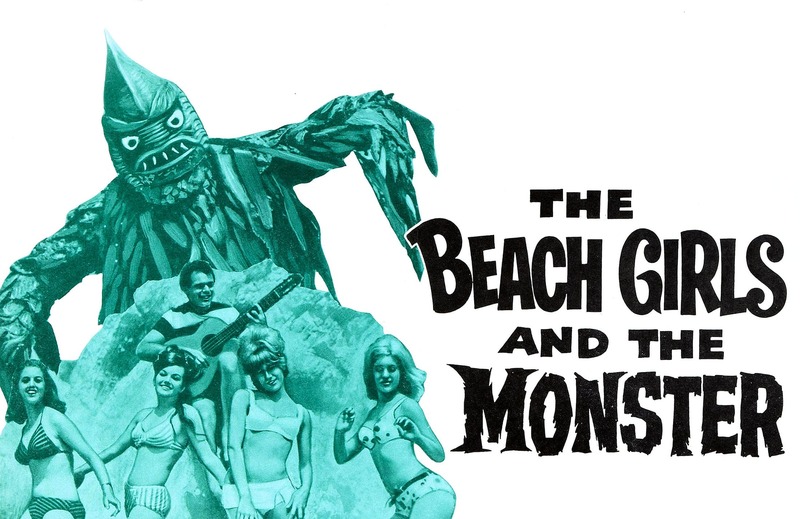 Beach Girls and the Monster is a classic example, a hysterically awful rubber suit monster romp which was the brainchild of Jon Hall. That name may not mean much to modern day audiences but in the 1940s he was a worldwide matinee idol with brooding good looks and an athletic figure. By the time he made Beach Girls though he was on a bottle a day – of Grecian 2000. 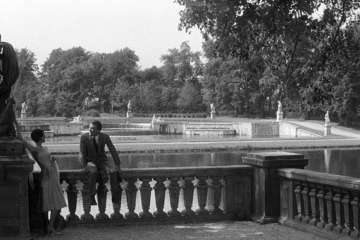 Unable to find much employment in the movie industry, Hall decided to produce his own film, taking a starring role and directing too. He even shot Beach Girls in his own house to save more money. 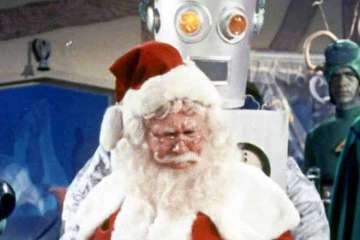 As to how successful the end result was, well, it was his final movie appearance and he killed himself ten years later, so probably not a resounding hit. We have to say this though, the film does deliver exactly what it says on the tin, setting out its stall early with glimpses of a goggle-eyed monster getting all excited watching a bunch of bikini babes shake their booty on the beach. 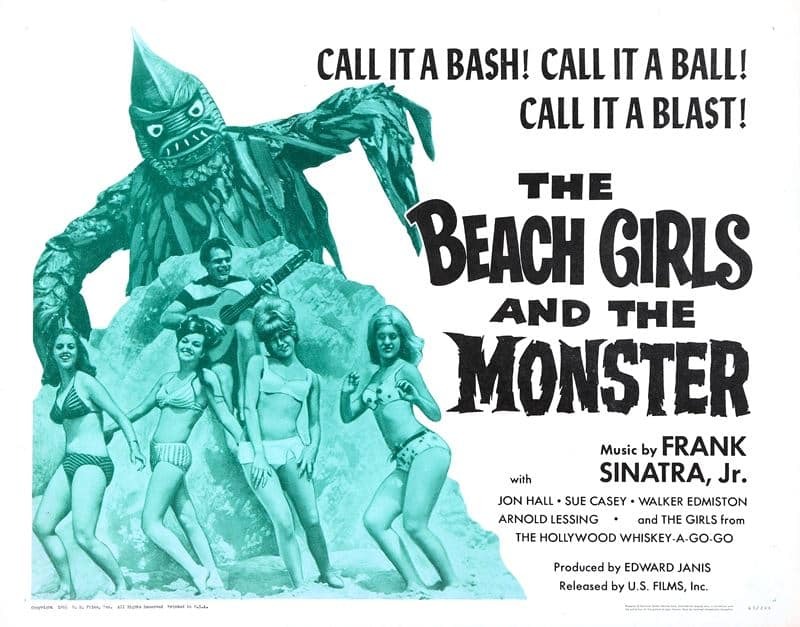 The monster suit here looks suspiciously similar to the one in Horror of Party Beach, another film which we are sure to get around to celebrating in the fullness of time. Hall wisely hired “The Watusi Dancing Girls” from Hollywood’s Whisky a Go Go club on Sunset Boulevard to get things off to a swinging start, and you may feel compelled to join in at home once you synch with the red hot vibes of Frank Sinatra Jnr’s Dance, Baby Dance. Or not. After this energetic workout most of the gals pocket their fee and head back to the Whiskey a Go Go club, while one of the beach babes, a honey named Bunny, flirts with her surfer boyfriend and puts sand on his hot dog. This prompts much inane laughter, because you’re supposed to put mustard on there. After having exhausted her small repertoire of hot dog gags, Bunny eventually wanders off still giggling like a happy crack addict, and happens upon a beach cave. What lurks therein? You guessed it, the pointy-headed fish monster covered in leafy seaweed that we glimpsed under the main credits. How she manages to stop laughing long enough for the creature to slash her to death we’ll never know. The voice of reason at last. Hall was knocking on fifty when he made this and he looks like he was knocking it pretty hard. With a sledgehammer. He may be playing a man who really knows the price of fish but from the look of his puffy face his bait’s not as fresh as it used to be. Otto’s marriage to hotsy totsy younger woman Vicki (Sue Casey) is not working out well either, since she’s frankly a bit of a strumpet. This babe is so sultry that every time she appears on screen she gets her own sleazy jazz theme, slow and syrupy and heavy on the sax. Sticky Vicki even flirts with her stepson, surfer hunk Richard (Arnold Lessing), who is disgusted by this, and by the way she treats his dad. At one point he complains to his girlfriend: “He’s well known in oceanography and her cute little title for him in company is Fish Doctor!” When she gets round to calling him Captain Birdseye that really will be the last straw. 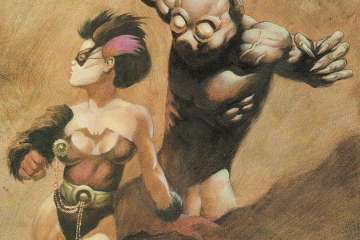 Of course it’s obvious that Vicki is going to end up getting unconvincingly clawed to death by old seaweed chops, and at first it seems like this is going to happen on the beach when she goes swimming and the creature emerges making jazz hands behind her. But no, she eventually meets her fate when the monster turns up in her bedroom – yep, never expected that, eh? This is only a short movie, but it’s still padded out with endless shots of people surfing, and the musical interludes will make your brain hurt. 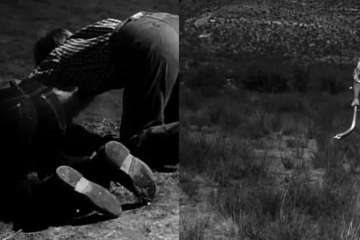 The low point comes at a bongo drum bash on the beach at night where a surfing ventriloquist with a lion head does a song called Monster in the Surf: “Everybody’s sleeping’, monster comes a creeepin’ yeah yeah yeah!” Look for it on Spotify. Since the monster here so obviously looks like a man in a silly costume, its biggest stroke of genius is in the final revelation that this is exactly what it is. Yep, it’s frustrated old Otto himself, killing those waste-of-space surfers and his faithless wife. The cops are soon on to him though and he escapes in a white MG – leading to a car chase containing some truly hilarious back projection enabling his car to turn corners without him even moving the wheel. The MG suddenly turns into a vintage automobile when it finally careers off a cliff in scratchy stock footage. A suitable end to a car crash of a movie, Beach Girls and the Monster is available to watch on Amazon Instant Video any time you want!